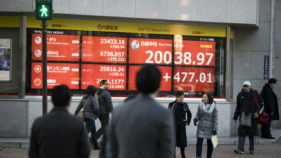 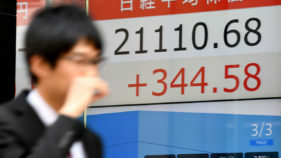 Asian markets fell on Friday, tracking another retreat on Wall Street as attention turns to the release of key US jobs data later in the day and high-level China-US trade talks in Beijing. 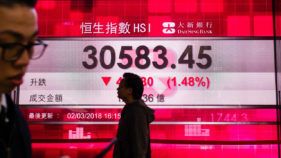 Asian markets fell again on Monday as the fallout from Donald Trump's proposed steel and aluminium tariffs fanned fears of a global trade war. 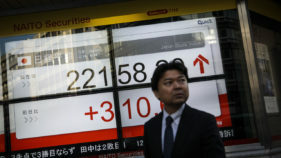 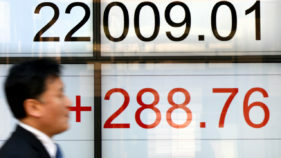 Asian markets dipped Tuesday after holiday closures saw muted activity in Europe, with investors in both continents searching for fresh leads.